Bring the family for a free community meal to be served in the lower level Fellowship Hall from 5:30pm – 6:00pm. 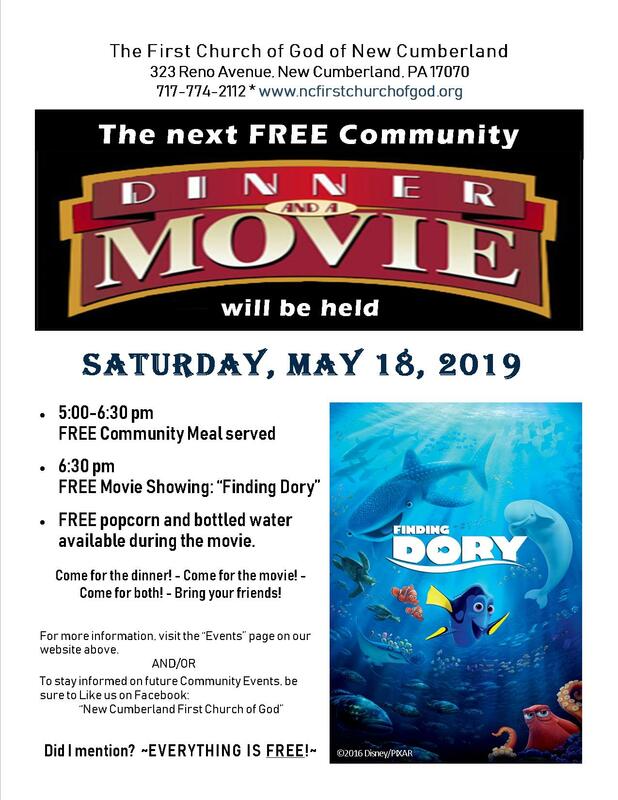 The movie Finding Dory follows at 6:30pm. 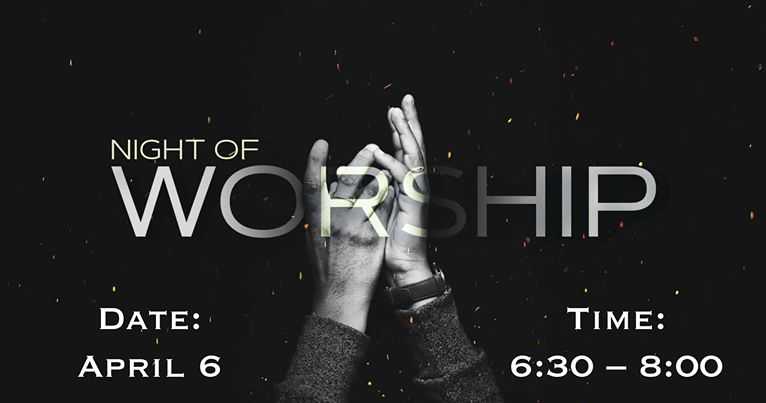 Come join us on April 6, 2019 at 6:30pm for a night of honoring the King of kings. Our events are regularly posted to facebook as well. There is a meal, popcorn and a craft area near the movie area for kids all for free. Enjoy free hot dogs, candy and activities. The New Cumberland First Church of God invites you to join at at one of our two Sunday services. Check back regularly to kept abreast of our upcoming events. We’d be delighted to have you.